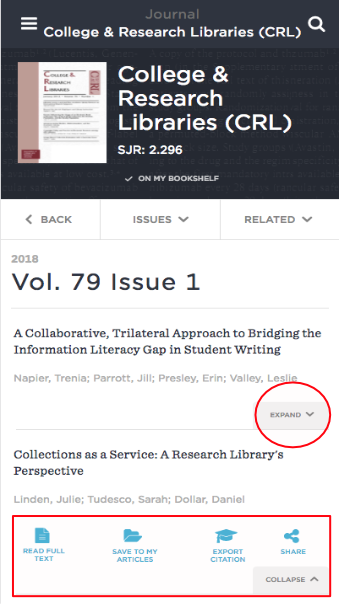 Click the down arrow in an article record in BrowZine. This will expand to reveal 4 additional tools you can use to make your e-journal research life easier. By adding one or more of these tools to your process you will spend less time and be more effective in staying up to date in your academic field. 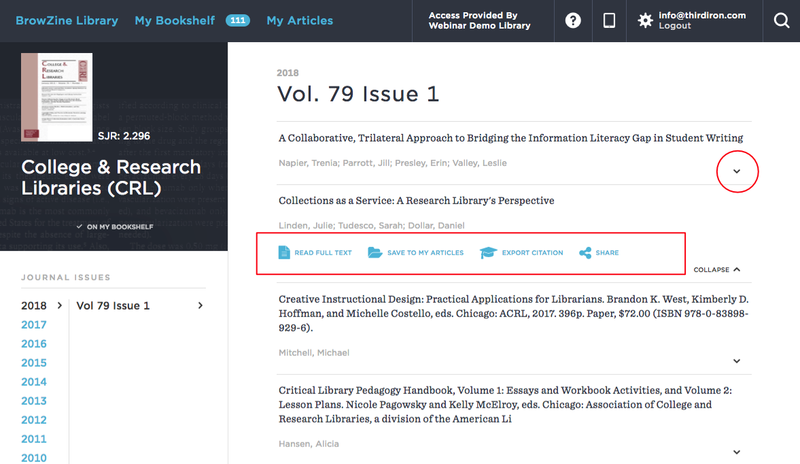 We've never talked to a BrowZine user who didn't think staying up to date was vitally important to their teaching or to their career goals, and these tools are specifically designed to make being up to date easier. Give one of them a shot today.